Professional Lumberjacks from the forests of New Brunswick are taking over the Boardwalk – and you can get in on the action. Don your flannel, roll up the sleeves, and see if you have what it takes! Try your hand at axe throwing – or, leave it to the pros and come see lumberjacks compete. You WOODn’t want to miss the Maritime Lumberjack Association! You’ll surely work up an appetite, and boy are we happy to deliver some of the finest food and drink that will satisfy even a hungry lumberjack! Various local New Brunswick vendors will be on site to showcase and celebrate all the resources we cherish here in New Brunswick. A special feature of the city’s newest festival is the unveiling of a new sculpture that is inspired by our waterfront log driving history. See it unveiled Thursday, and then watch the artist at work Friday! We have also partnered with NFB/ONF Mediatheque – the National Film Board of Canada – to have FREE screenings of incredible footage of our history as a timber nation. It just wouldn’t be a lumberjack festival without The Log Drivers’ Waltz playing! 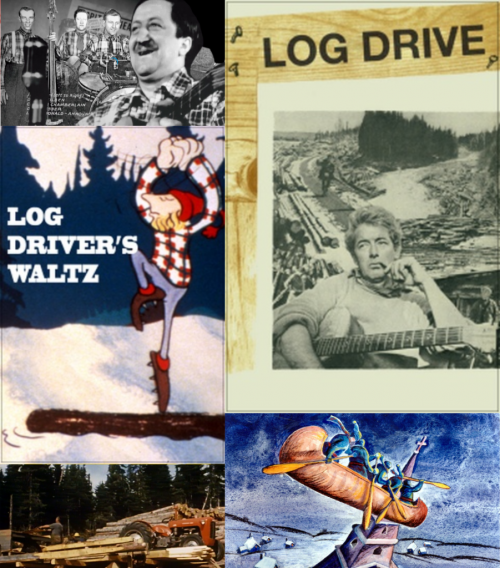 Log Drivers Waltz – Easily one of the most often-requested films in the NFB collection, this lighthearted animated short is based on the song “The Log Driver’s Waltz” by Wade Hemsworth. Kate and Anna McGarrigle sing along to the tale of a young girl who loves to dance and chooses to marry a log driver over his more well-to-do competitors. Log Drive – This short documentary brings to the screen a great seasonal event in the Québec spruce forest—the log drive. In lyrics set to a sprightly tune, ballad singer describes this annual spectacle. A vast aggregation of logs moves downstream on a river, spurred by dynamite and sharp-tipped cant hooks, tossed and twirled by the boots of leaping men. Legend of the Fly Canoe (La Chasse-galerie) – New Year’s Eve, late 1800s. A group of loggers in an isolated lumber camp yearn to celebrate with their loved ones, but the river is frozen. If the men want to see their families, their only choice is to make a pact with the Devil to ride in a flying canoe. Original music and animation preserve the spirit of this Quebec legend. The Singing Lumberjack – For nearly 40 years, Charlie Chamberlain was one of the most popular vocalists in Canada—and the most beloved member of the old-time band Don Messer and His Islanders. 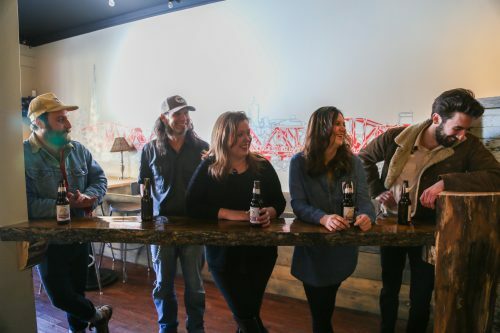 This five-minute short by filmmaker Rachel Bower brings Chamberlain’s home-grown talent and gregarious personality back to life. Three Seasons – All along the North Shore from Saint-Tite-des-Caps to the bay of Sept-îles, logging starts with the construction of the camps. But the good logs once used for the legendary log cabins are now turned into planks, beams and rafters in the sawmill that has replaced the side axes and board saws. It takes three seasons to harvest the logs. First the autumn for felling the trees with the chain saws that have taken over from the bow saws and two-handed saws. Then the winter snows to make it easier for the horses to haul the logs to the ice-covered rivers. And finally the wild waters of spring that carry the logs to the wooden schooners that will take them to the mill. 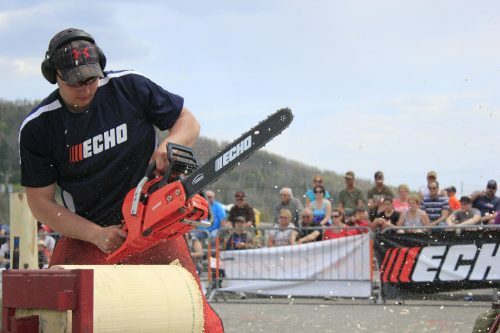 From 6pm, the Maritime Lumberjack Association wants to show you how to throw an axe like a proper logger! Axe throwing, and legitimate logging tools that you are try your hand at! Find them at the flagpoles all weekend. The Hypos are playing a full-piece set after Country Star, too! This is the perfect pairing with #thirstdays specials! Maritime Lumberjack Association SHOW at 6pm, followed by Willie Stratton, and then back to our lumberjacks at 8pm! 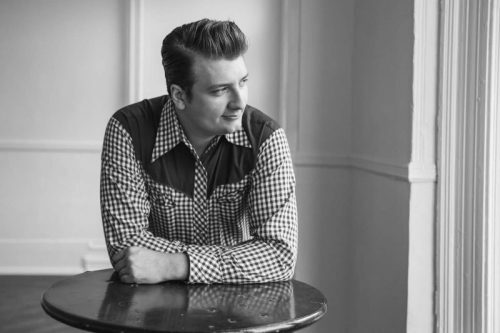 Like Frankenstein’s mother drunk on whiskey sours, resurrecting classic country vibes with a strange and modern twist – The Hypochondriacs hit the stage at 8:45pm performing into the evening. Axe throwing lounge open for business, hosted by The Maritime Lumberjack Association at 12pm, 5pm and 7pm and live shows and competitions at 6pm & 8pm! Willie Stratton returns to the Boardwalk stage at 7pm & 9pm! 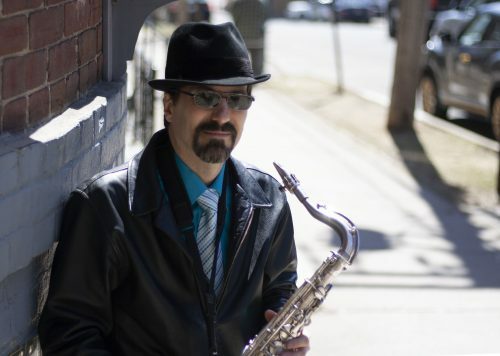 Greg Marks returns for Sunday Jazz on the Boardwalk at 8pm! The always perfect way to cap off a weekend – jazz at sunset!